Summary: The New Jersey Disability Community wholeheartedly opposes efforts by companies, cities, and states to ban single use plastic straws. These policies create barriers to independence, community integration, and daily living for people with disabilities, work counter to our community ideals of universal access, and place an unnecessary burden on people with disabilities to fight for the accommodations we need to live independently. Full Statement: We represent a coalition of people from all disability categories and our allies in New Jersey who recognize the harmful effects of straw bans on the disability community. In Seattle, Santa Barbara, and cities across the country, people with disabilities are being pushed back into their homes because of straw ban legislation that was passed without their input. We stand with the advocates working to resist this legislation and oppose any efforts to bring straw bans of any kind to our state. Many people with various types of disabilities rely on single-use plastic straws to drink, eat, and take medication independently. The advent of the flexible plastic straw in hospitals in the 1940s was revolutionary for the disability community, as it allowed many of us to gain independence and move out of hospitals and institutions. Currently, no alternatives to single-use flexible plastic straws exist that are safe, sanitary, and affordable for people with disabilities. Until these alternatives exist, it is unacceptable to create more barriers to independence and access by restricting plastic straw use. Though some cities and states have incorporated “disability exceptions” into their straw ban legislation, the disability community remains firm in our opposition. Medical exceptions force people with disabilities to disclose their disability to store workers. Requiring this puts an undue burden on disabled customers who already experience discrimination and victimization People with disabilities are already 2.5 times more likely to be victims of hate crimes, and forcing us to disclose this in public to strangers can only increase this risk. Misconceptions and stereotypes about what a “real” disability looks like can also lead store people to question the validity of a customer’s need for a straw, leading them to deny, harass, or shame the customer. Disabled people face accusations of “faking our disability” on a daily basis when we make use of simple accommodations such as sitting on a crowded train, using handicapped parking placards, and taking necessary pain medication. We are stalked, harassed, and interrogated by strangers who demand that we “prove” our disability. In cities where bans have been passed with disability exceptions, we are witnessing many people being shamed by workers and customers alike for using straws in public; for New Jersey to pass similar legislation would signal to the community that this behavior is acceptable. The harsh penalties established by straw ban legislation provide incentive for vendors to err on the side of caution by routinely denying straws to anyone who requests them. It is also unlikely that stores will continue to stock plastic straws because of the (false) perception that people with disabilities make up only a small percentage of the population. This again creates an added barrier for people with disabilities. Now, when we decide to go out to dinner, not only do we have to call ahead to find if the space is accessible, but we must also find out if they have straws. As we have seen in Seattle as well, many small businesses and store workers may not be properly educated on the disability exception clause and unjustly refuse plastic straws to disabled customers out of fear of being held responsible for breaking the law; regardless if that fear is based in the actual language of the law or the simplistic representation of the law in the media, the impact on the disabled customer is the same. It is unreasonable to expect people with disabilities to constantly educate food vendors and threaten stores with ADA lawsuits just to access a straw. Instead, it is much more likely that, in response to straw ban legislation, with or without disability exceptions, people with disabilities will simply stop leaving their homes, stop going to dinner with friends, and stop living independently in the community. While some may suggest that people who need straws simply carry around their own, this is an unfair request for several reasons. Firstly, with straw bans sweeping the nation, single use plastic straws will inevitably become more expensive and difficult to obtain even for individual use. Secondly, it creates an unnecessary financial burden on people with disabilities, who already experience increased rates of poverty, functioning as a form of “disability tax”. Finally, it is unfair to ask people with disabilities to carry around their own straws, while nondisabled people can easily access cups, plates, napkins, and anything else they may need, at any restaurant or food vendor. Straw bans with disability exceptions also violate the disability community ideal of Universal Access, also known as Universal Design. This idea posits that accommodations that help people with disabilities help everyone and should be available to all, regardless of diagnosis. An example of this is the Curb Cutter Effect; when cities began cutting curbs to create better access for wheelchair users, we did not put up signs saying only wheelchair users may use them. Instead, we allowed mothers with strollers, kids on skateboards, tourists with luggage, and others to benefit from this. By limiting straw access only to people who identify themselves as disabled, we are not only othering and alienating an already stigmatized population, we are decreasing access for everybody. Much of the ferver surrounding plastic straws is based entirely on viral videos and false statistics. Plastic straws make up only about .03% of plastic waste in the ocean (fishing nets by contrast make up 46%). To risk the rights to independence and liberty that our community has fought for, only for .03% of waste, is unacceptable to our community, especially when it is statistically proven that corporations, not individual consumers, are largely if not entirely at fault for ocean pollution. Furthermore, offer first policies can reduce straw use by up to 80% without creating any barriers to access. The disability community believes in creating policies that protect the environment, but we also believe that this can be done in ways that do not harm the disability community. 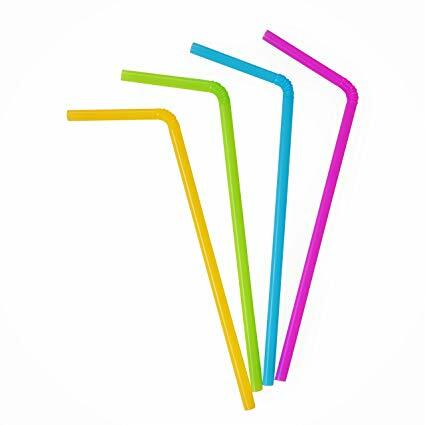 In light of all of these reasons and more, the disability community asks New Jersey legislators to (1) reject any legislation that restricts access to single use plastic straws, (2) create an actionable plan to ensure disabled voices are heard on all legislation before it reaches a vote and (3) pass legislation that explicitly protects the right of people to access plastic straws upon request in accordance with the ADA. If you have any questions, please contact Maggie Leppert at mleppert@adacil.org. NOTE: This petition is only for residents of New Jersey.